When vehicle parts malfunction and cause fires and even explosions, the result can be loss of property – or even loss of life. Our team of fire and explosion experts can find the root cause of vehicle fires. Whether it’s due to mechanical failure, electric failure, negligence or arson, the results are the same – extensive damage and possible bodily harm or death. 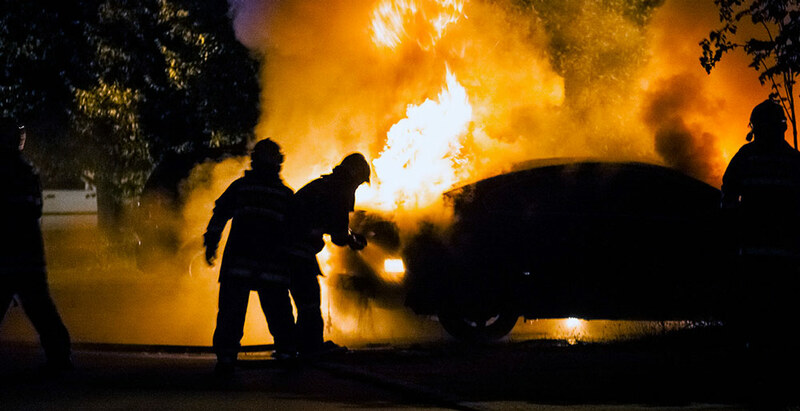 Vehicle fires may occur after car accidents, and the fire may not necessarily be caused by the accident; it is important not to assume that the accident itself caused the fire. Our experts examine the vehicle for evidence, protect our findings and report them to our clients, judges and juries. It is our goal to explain what happened, what caused the fire and help get to the bottom of what or who is at fault. Forensic Investigations Group, LLC has the training, experience and certification to evaluate a vehicle and find evidence that points to how a fire or explosion came to be. We will provide thorough reports with evidence to support them.